The Crookes Street Market is a relatively new market. 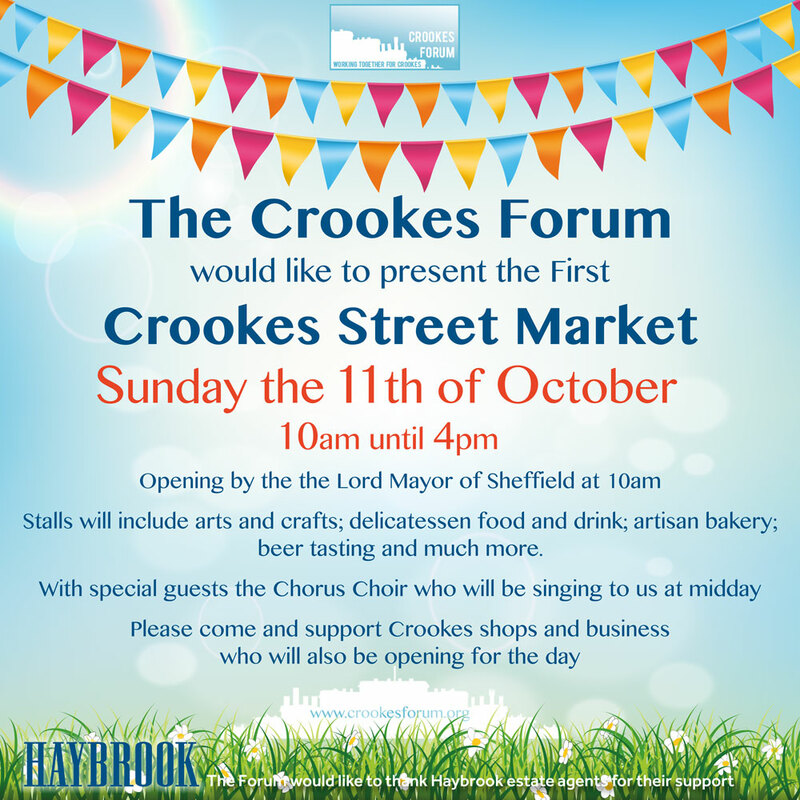 With the support of local shops and businesses the Crookes Forum hope to hold a further three events in 2018. Further details are still to be announced. This one will be held on Stannington View Road and Colchester Road.